In house duct fabrication means we can supply your project with duct in a more timely manner. Using advanced machinery, like our Iowa Precision Coil Line, and cutting fittings on the plasma table, ensures that ACI builds with an accuracy required in our industry. All the duct and fittings produced in our shop adhere to the latest SMACNA standards. No project is too large or too small for the ACI team! 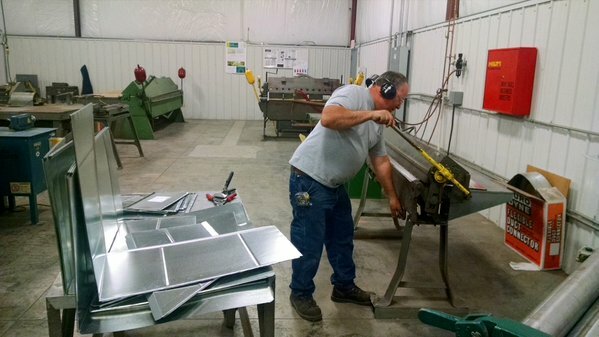 Whatever your metal fabrication needs, we are here to help. Give us a call. You will find the ACI team helpful, competitive, and ready to meet your schedule. 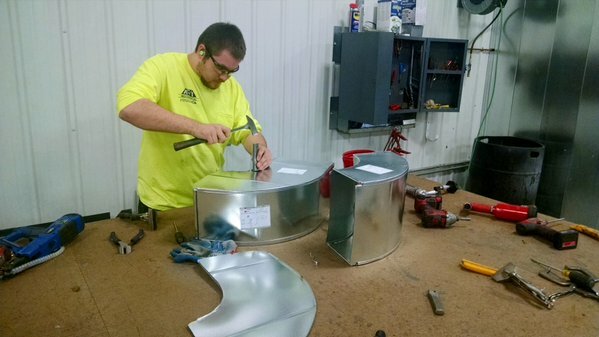 Our fabrication employees pride themselves on turning out a high quality, better than expected product. Let us exceed your expectations. 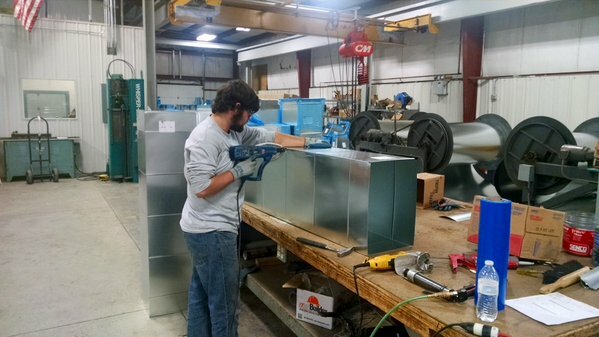 If your project calls for custom metal fabrication, give ACI a call. We can custom fabricate your project out of stainless steel, copper, color-clad, or aluminum.